A short quiz on drivers hours and rest periods. Why are driver’s hours under close control? Pick three answers. Altering drivers’ hour’s records with intent to deceive or tampering with the tachograph is against the law and could lead to a prison sentence. You are the driver and make take responsibility to ensure that you comply with the driver hours and tachograph rules. Make sure you carry enough approved tachograph charts for your journey. Keep your spare charts in a plastic wallet to ensure they remain clean and undamaged. If the tachograph on your vehicle becomes faulty you should take it to an approved tachograph repairer as soon as possible if your vehicle cant return to base within a week of the discovery of the fault then you must have it repaired on your journey. Tachograph records must be available for inspection. If an enforcement officer keeps one of your charts. Who should sign the back of the replacement chart? If an enforcement officer retains a record chart, the driver should ask the officer to sign the back of the replacement chart with there name, telephone number and the number of charts retained. The enforcement officer should also record the number of charted retained. Alternatively a receipt may be issued. 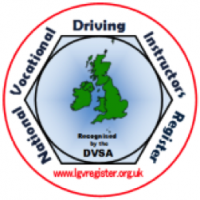 Your employer should supply you with enough tachograph charts for your journey. Always carry spares in case any get damaged or dirty or are taken for inspection. It is essential that you don’t become drowsy through driving for excessively long periods. EC rules are placed in to prevent this. You must ensure that you take an uninterrupted break of 45 minutes after four and half hours driving. This break may be replaced by two shorter breaks of 15 minutes and 30 minutes. During any break you must not drive or undertake any other work. Under EC rules what is the maximum daily driving time allowed? •	Ten hours extended to 11, on three days of the week. You are allowed to extend your daily driving time twice a week to ten hours a day. A ‘day’ is generally a 24 hour period beginning with the resumption of driving or other work after the last daily or weekly rest period. Under EC rules you must have a minimum daily rest period of 11 consecutive hours. A reduced daily rest period is any period of rest of at least 9 hours but less then 11 hours. It’s vital that you are fit and well before starting any journey. Make sure you get enough sleep. Accidents are often caused by tired drivers falling asleep at the wheel. A working week is defined as a maximum of six 24 hour periods from when you finished your last weekly rest, after which the driver must take a weekly rest which normally would be at least 45 consecutive hours. When a vehicle has two drivers each driver should? Your tachograph chart is your personal work record and as such should reflect the hours that you drive or you carry out other work. The law requires these charts to be held on file by your employer for a period of at least one year, extended to 2 years if used as compliance to working time regulations. You are driving on a motorway and you suddenly become tired. What should you do? If you’re driving long distances on a motorway take plenty of rest stops. Many accidents have been blamed on drivers falling asleep at the wheel, If you feel yourself becoming tired, stop at the next service station and rest. You are feeling tired when driving on a motorway. Where should you stop? Travelling long distances on a motorway can have a mesmerising effect. Any lack of concentration however brief could lead to an accident. The time is 10am. You have been driving non stop since 6am. Under EC rules what is the longest you may now drive without a break? The maximum driving period under EC rules is 4 hours 30 minutes, after which you must take a break of a minimum 45 minutes. Planning you journey will allow you to take your statutory break periods in a safe place. Don’t drive for more than a maximum of hours allowed. You are permitted to extend the daily nine hours to ten hours twice in a fixed week of 00:00 Mon to 24:00 the following Sun.